This entry was posted on February 19, 2013 by FS Photography. 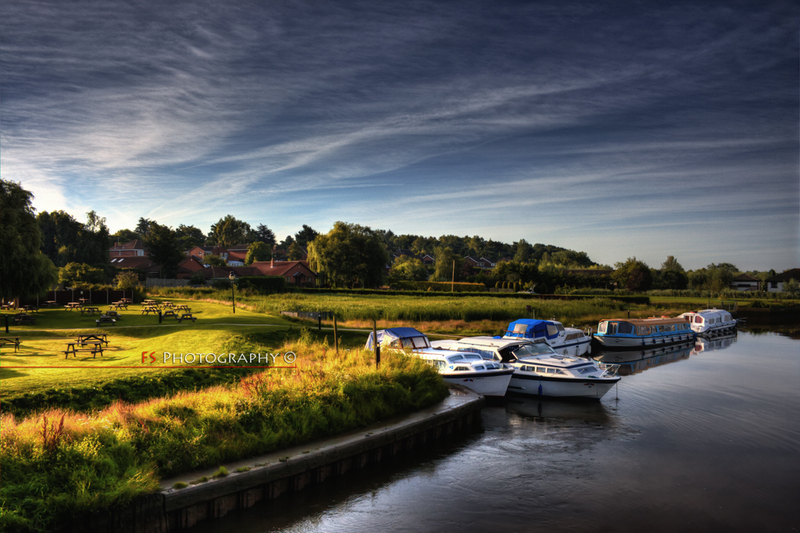 It was filed under Boats, Landscape, Nature, Photography, Riverside, Sunrise, UK, Water and was tagged with Bridge, FS Photography, Funky Slug, Nature, Night Photography, Norfolk, River, Sky, Sun, Sunrise, Water. Hm….you can’t be getting up THAT early. I get up early and it’s still DARK outside!! This is gorgeous Brian. Love the light! Ha! Only counts when it’s still dark when your eyes are open! If I got to sleep until 10 am, I would have no problems staying up until 4-4:30 am. It’s worth getting up early, for me anyway, I like the quietness, but sometime it feel really good to stay home and sleep. ;) Beautiful image! This is gorgeous. Thanks for the little reminder of warmer days to come. So when exactly was that shot taken? Were you sorting through your archives when you decided to post it? Wow. This is gorgeous. With a scene like that to go to, I’d be up early in the morning, too. Love getting up early, it’s so quiet at that time. Nice blog and a beautifully processed image here. I like your style! Early mornings are the best time to take pictures I think. Great light, all places are empty its just great. Your photo is real beautiful.